I don’t like the police, but I do like The Police. A British new wave reggae rock band that were fairly active between the mid 70s to mid 80s. I blame it on the way that our traffic laws are set up in Canada. Actually I have no reason to hate the police. I just wanted to make a reference that transitioned well in to today’s album review. Magic! are a Canadian reggae fusion band out of Toronto. Yeah for Canadian content! Headed by Nasri Atweh (vocals and guitar), Mark Pellizzer (guitar), Ben Spivak (bass), and Alex Tanas (drums), Magic! have been active since 2012, and released their debut studio effort Don’t Kill The Magic in 2014. Primary Colours is their second series in the music scene. I’m gonna marry that girl, marry her anyway. Marry that girl, yeah, no matter what you say. Or better yet, I’ll link you to the song itself. Now, when it comes to Primary Colours, I think it’s pretty obvious that Magic! know how to please the masses. They are setting up singles and knocking them across the park like nobody’s business. Precision, bangin’ drums, catchy hooks, and the occasional appropriate cameo makes this a summer album worth at least a few spins in your music player. This all hinges on the idea that Magic! are experts when it comes to good times and smooth tunes. Its hard to single out one song in particular that encapsulates this, but Red Dress does oddly mimic Rude and how! The number of trumpets, saxophones, and general horniness is enough to make you skank across the dance floor. And maybe to the toilet bowl. On the positive side Atweh has a clean and likeable voice and his range carries us through several highs and lows of the album. I would say for sure that the title track, Primary Colours, Gloria, and Lay You Down Easy are some of my favourite songs on this record. But no matter your taste for reggae fusion, you’ll have a good time listening to the whole thing and you’ll definitely enjoy the production value, because as I hinted at previously, the band is made up of professional songwriters who have all written singles for other famous acts. This now reminds me of my R.City review. But I don’t want to get derailed, so let’s sum up. This fab four are always writing, and are a production house in terms of material. 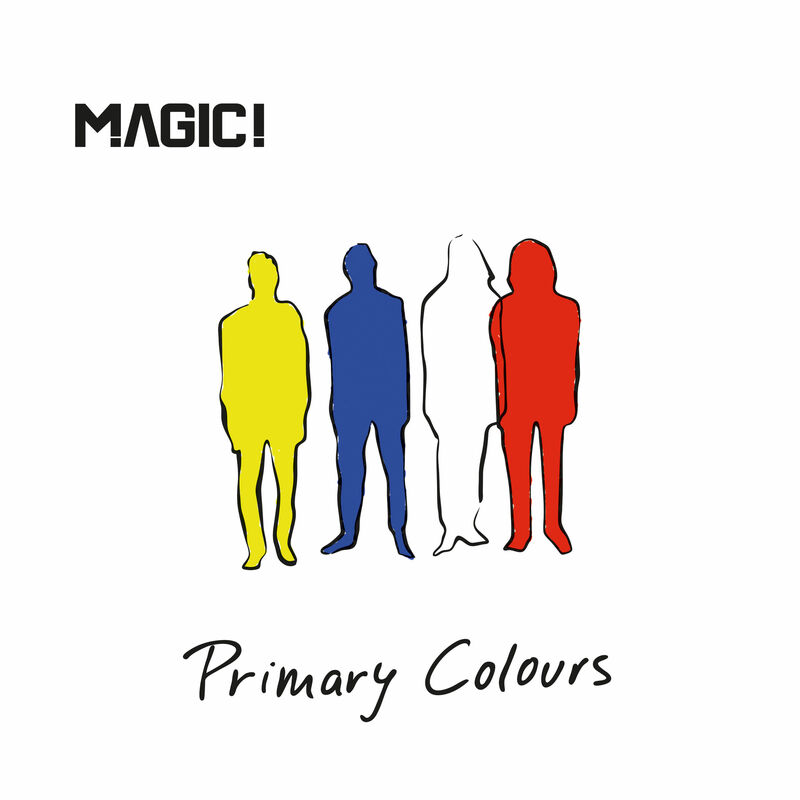 What that means for us is that the tone of Primary Colours is consistent and enjoyable no matter if they are singing about cuckolds, God or anthems. I’d give these a foundational grade for a sophmore effort. I also am not a fan of Bob Marley, but I blame that particularly on the over-commercialization of his image in colleges and smokeshops. That and an association with cannabis as integral to his Rastafari faith. It became less about the music and more about a message. Now, Magic! do have a message, but because they are still forging their path, it’s a non-issue, enchanting even.